When it comes to finding a commercial-grade tile adhesive, One Pack Mastic (O.P.M) makes for the perfect choice. It is a one-pack, fast-setting, rubber-based bonding adhesive for tiles. O.P.M is available in a standard 20kg tub. 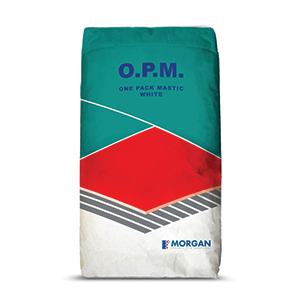 O.P.M is very versatile as it is suitable for use on a variety of substrates including concrete; cement rendered brickwork and blockwork, fibre cement sheets, painted substrates, plasterboard, tile over tile, tilt up slabs, timber and most other types of flooring. It is ideal for use in fully vitrified wall tiles and porcelain floor tiles both in interior and exterior applications. While this bonding agent works with a variety of substrates, it is not suitable for bonding marble, MDF boards and substrates which experience high moisture. O.P.M is the ultimate choice for all your tile adhesive needs. 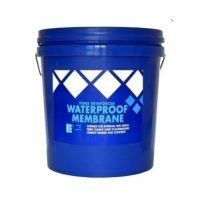 It exhibits excellent water resistance, offers superior flexibility and high bond strength. It is incredibly fast-setting and allows you to start grouting tiles within 3 hours. For the best tile adhesive in Perth, look no further than O.P.M, available at Ross’s Discount Home Centre. 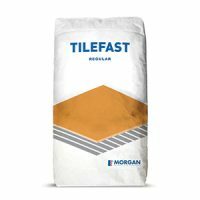 Buy the ultimate tile adhesive from our online store today!